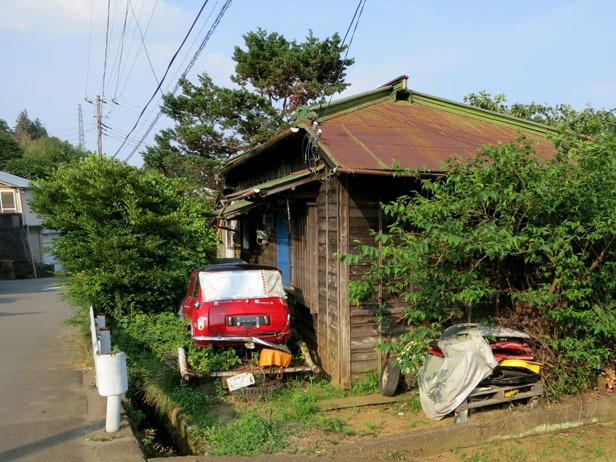 On the edge of Odawara in Kuno, just before the forest starts, there is an old outbuilding, usually with cars and motorbikes in various stages of disassembly outside. For a long time there was also a mysterious, very small vehicle always under a tarpaulin. 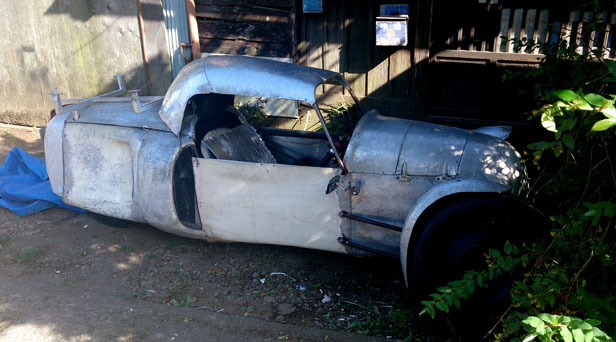 Then, as we passed one day, we realized that the tarpaulin was off and we could see it was a remarkable looking retro-punk 3-wheeler. We stopped as fast as our van’s ABS would let us, jumped out, walked back and introduced ourselves to the owner/builder, Mr. Haruyama, who was already starting on his next project. It turns out we have a mutual friend in Odawara and we had a good long chat. 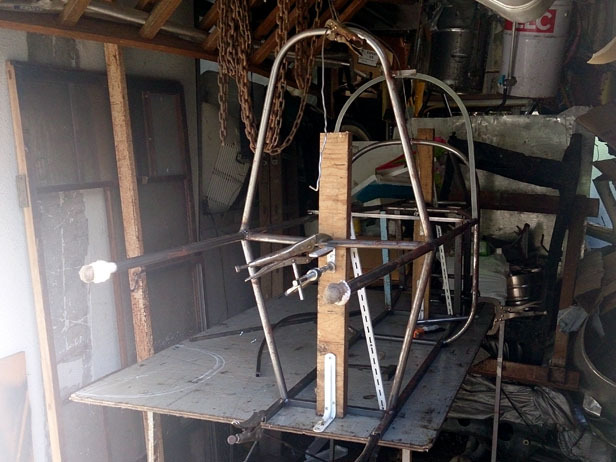 The 3-wheeler is based on a scooter engine, transmission, rear suspension and running gear bolted directly to a hand-made tube frame and enclosed in hand-beaten, pop-riveted aluminium panels. Mr. Haruyama’s workshop is very basic – his most sophisticated gear is an arc-welder and a laser height gauge for making sure everything is squared up. Almost everything else is done with his hands, arms and eyes in an incredibly cramped (and, in the high summer, hot) space. 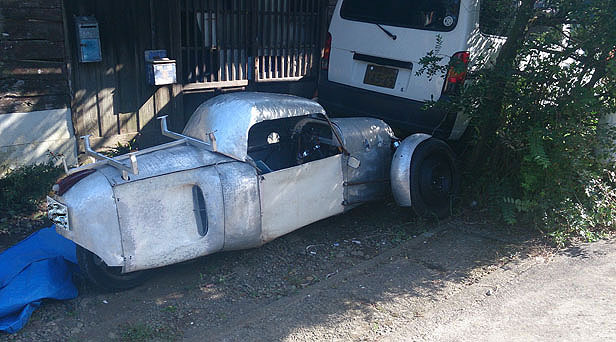 He makes his vehicles to drive: the 3-wheeler is street legal (!) 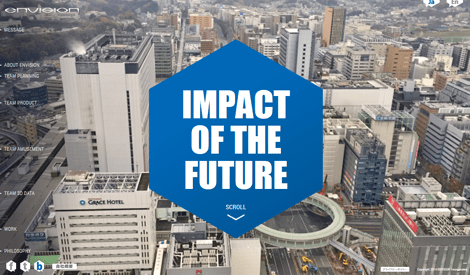 and Mr. Haruyama has driven it as far as Tokyo, more than 80km on some very busy roads. 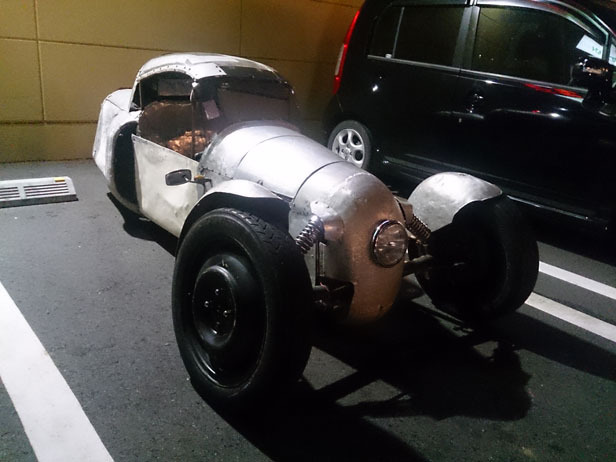 Another time we saw it again in a supermarket car park and, the more I thought about it, the more I wanted one. I contacted our mutual friend and we went together to see Mr. Haruyama and he has agreed to build one for me. Some of our designers have agreed to do some sketches for me in their spare time and we will turn them into 3D data to make 3-view plans for the build. 1. Time and energy: Envision’s designers are constantly busy on projects and their creative juices can get a bit wrung out by the time the evening and weekends come along. …but more about that in my next post. PS: There are no photos of Mr. Haruyama because he is very camera-shy. He says he can’t remember the last time he let anyone take his picture.